The Tomah/Warrens area is known as “Wisconsin’s Cranberry Country”. With more than 2,500 acres of cranberry marshes dotting the region, this area is an important player in the state’s number one fruit crop. Cranberries play an integral role in the local agricultural economy while providing a unique tourism attraction, and have been grown commercially in Wisconsin for over 150 years. That’s a lot of history for one tiny berry. 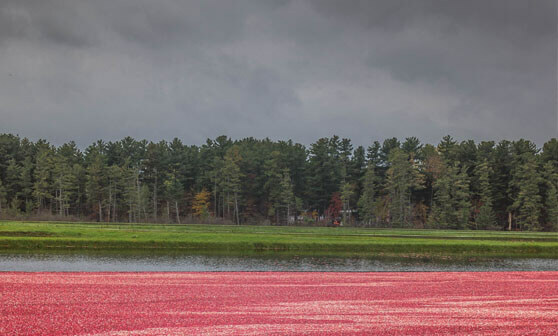 During that time, cranberry growers have adapted their production methods to the environment, changes in agricultural technology and changes in the marketplace. In addition to developing new ways of growing cranberries, they’ve also created new ways of using the fruit. You’ll learn all about that – and more – during a visit to the Wisconsin Cranberry Discovery Center. Our community is family-friendly where you can experience over 200 acres of green space in one of the ten Tomah parks and stroll the Lemonweir River Walking Trail which stretches from Veteran’s Park to Butts Park. Children and parents will enjoy the multi-unit “Winnebago Wonderland” in Winnebago Park, a 10,000 sq. ft. playground complete with castles, mazes, slides, tubes, swings and more. Lake Tomah, a 200+ acre body of water, is the perfect spot for boating. Shoppers to Tomah will find a wide selection of various merchandise with plenty of Hometown friendliness and service. For those interested in antiques, a variety of shops, including an Antique Mall, offer quality pieces and collectibles for the beginner to advanced collector. Other outdoor activities like camping, hiking, canoeing, snowmobiling, cross country skiing, hunting and golfing are enjoyed in Tomah and surrounding area. Tomah is located within 20 minutes of the nationally known Elroy-Sparta Bike Trail. The old Chicago and Northwestern Railroad beds have been converted into a picturesque hiking and biking trail, the first rails-to-trails bicycle route in the country. It passes through a portion of the unglaciated areas of Wisconsin exemplifying the natural beauty of our State. The trail is 32 miles in length and passes through three rock tunnels. The Kendall and Wilton tunnels are ¼ mile long and the Norwalk tunnel is ¾ mile long. The trail is covered with limestone screenings and provides a smooth riding surface. The bridges are covered with planks and are guarded with railings. The Greater Tomah area boasts small town charm with plenty of shopping including Amish & cranberry goods, attractions, over 900 motel/villa rooms, entertainment opportunities, indoor and outdoor water parks, and quaint restaurants to explore throughout the area. Residents and visitors also enjoy the Olympic size swimming pool, lighted tennis courts, various playgrounds, and 120 acres of parks throughout the community. Whether you’re interested in spring crafting, driving tours, summer festivals, fairs or tractor pulls, autumn color tours, cranberry tours, or winter activities and holiday events, you’ll find the Tomah area an ideal choice.